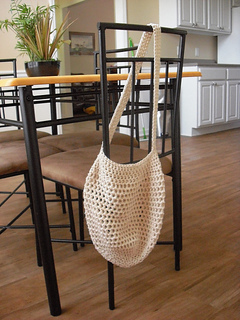 This is a nice, stretchy bag that can be folded up small enough to fit easily in a purse or backpack. 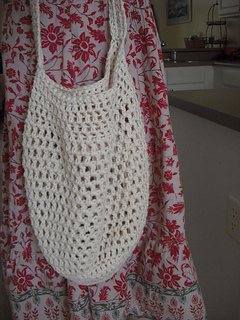 it takes between 200 and 250 yds of “kitchen cotton,” depending on how tight you crochet. The pattern is for the bag only. 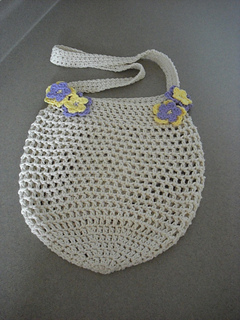 Embellishments pictured were found by using Ravelry to search for free flower patterns. Feel free to add your own uniquely “YOU” embellishments!